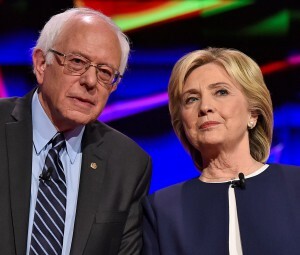 Hillary Clinton leads Bernie Sanders 49-39% among likely voters in California’s Democratic presidential primary, according to the latest USC/Los Angeles Times Poll. Or, not. According to the same poll, it could be that Sanders and Clinton are essentially tied at 44-43%. Confusing? You bet. It seems USC and the LA Times were not entirely comfortable relying on the 49-39% Clinton lead that their likely voter model yielded. So they hedged their bets, first reporting the race as a draw (44-43% for Sanders) among Democrats and independents eligible to vote in Tuesday’s primary, and then reporting Clinton’s 10-point lead among likely primary voters. As the Times sees it, Clinton’s loss of 9 percentage points among eligible voters since their last poll is more predictive than her 10-point lead among likely voters in their final poll. Which left us scratching our heads. In one set of crosstabs, based on eligible voters, Sanders leads among whites 46-42% and among Asians 55-35% but Clinton leads among blacks 58-25% and among Latinos they’re tied at 44%. But among likely Democratic primary voters, Clinton leads 50-41% among whites and 47-39% among minorities (specific ethnicities are not reported). Gender Gap Either Way. Among all eligible voters, Sanders leads 46-39% among men and Clinton leads 47-42% among women. But among likely voters Clinton leads 45-42% among men and 52-37% among women. Go figure. As he has everywhere, Sanders beats Clinton 55-34% among likely voters aged 18-49, while she kills him among likely voters aged 50 and over 60-28%. Best we can tell, what the Dornsife/LA Times identified are a big batch of independent voters, most of them young, who prefer Bernie over Hillary. But they’re not folks who have historically actually voted. If they do show up, request and get a Democratic presidential ballot and vote, Sanders could win. If they don’t, Clinton will crush him. Among voters who have never voted in a primary, Sanders leads 51-37%. But among voters who voted in the 2014 primary only, Clinton leads 43-40% and among those who in the 2012 and 2014 primaries she crushes Sanders 62-27%, the survey reported. We would be remiss not to mention that three other reputable survey outfits – PPIC, NBC/Wall Street Journal and the Field Poll – all have recently reported Clinton ahead by a mere two percentage points and within their margins of error. Clearly, if Dornsife/LA Times focused on its likelies, Clinton’s 10-point lead would be out of the mainstream. And speaking of the Field Poll, we speculated the other day that the undecideds in the U.S. Senate race could, if they ganged up, put one of the Republican contenders ahead of Democrat Loretta Sanchez in a runoff with Democrat Kamala Harris. But the latest Field Poll found otherwise – about a third of Republican voters appear poised to vote for no one, rather than vote for Harris, Sanchez or some GOP contender they don’t know. 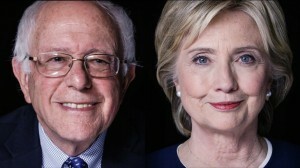 With overwhelming support among younger voters and independents, Bernie Sanders has drawn within two percentage points of Hillary Clinton in California’s Democratic presidential primary race, according to the Field Poll released today, which found sharp demographic differences in the potential electorate. Given the Field Poll’s margin of error of ±4.1 percentage points, the race is a virtual dead heat, with Clinton at 45% and Sanders at 43% — a considerable tightening since April when the Field Poll had it Clinton 47% to Sanders 41%. Age, Gender and Race. As has been true in other states, age is a huge factor. Sanders kills Clinton among younger voters, leading 75-15% among voters 18-29 and 60-33% among voters 30-39. But Clinton beats Sanders 49-40% among those 40-49, by 56-31% among voters 50-64 and by 56-38% among voters 65 or older. Sanders leads age brackets that comprise 31% of the vote while Clinton leads among voters who comprise 69% of the total vote. Once again, gender is another powerful variable. Sanders leads among men 48-39% while Clinton is ahead among women 49-40% — almost mirror images. 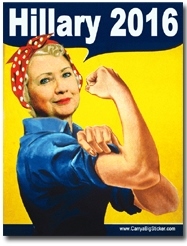 The good news for Clinton: women are expected to comprise 57% of the Democratic primary vote compared to 43% for men. Roughly speaking, women who remember when the Supreme Court legalized abortion in Roe vs Wade 43 years ago are overwhelmingly for Clinton, while those who grew up when abortion was legal, favor Sanders. Race and ethnicity also matter. It’s a virtual tie among white voters, with Clinton at 44% and Sanders at 43%. Clinton holds a narrow 46-42% lead among Latinos but a huge 57-36% advantage among blacks, while Sanders leads 47-34% among Asians and others. Again, the demographics favor Clinton slightly: If the candidates split the 56% of voters who are white and Clinton carries Latinos and blacks, who comprise 35% of the vote, and Sanders takes Asians and others who make up 11% of the vote. Will Independents Vote? Moreover, it makes a big difference whether Sanders is able to get his independent voters to the polls; while Clinton stomps him 49-40% among the 79% of voters who are registered Democrats, Sanders has a killer lead of 54-27% among the 21% of voters who have no party preference but who are permitted to vote in the Democratic primary if they request a Democratic ballot. The final polling results from Field (and also from Marist College for NBC and the Wall Street Journal) reflect findings released last week by the Public Policy Institute of California – which gave Clinton a two-point lead — but are at odds with an internet YouGov survey for Hoover Institution that showed Clinton with a 13-point advantage. 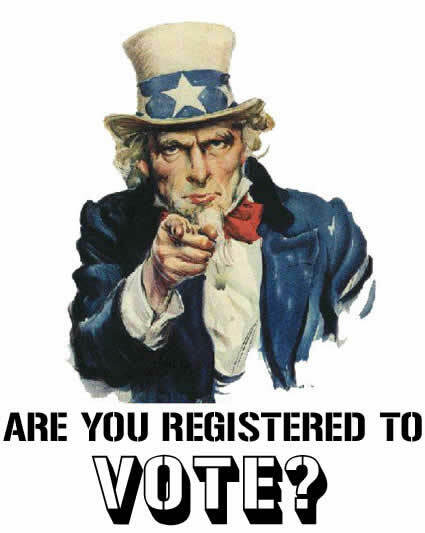 The Field Poll, by landline and cell phone among 1,002 actual registered voters who have already voted or are likely to vote on June 7, including 571 likely voters in the Democratic primary and 351 likely Republican voters. As Sanders and the Republicans have continued to demonize Clinton, her favorability has suffered and now stands at 64% favorable among likely Democratic primary voters and 30% unfavorable. Sanders favorability has remained strong at 76-17% favorable-to-unfavorable. Clinton leads in Los Angeles County, the Central Velley and Sierras, while Sanders leads in other Southern California, the San Francisco Bay Area and Central Coast. If the vote were limited to the 23% of voters who have already sent in ballots by mail, Clinton would have won 47-38%. But the race is a dead heat among the 77% of voters who had not yet voted when the survey was done – 45% Sanders. The Field Poll was conducted May 26-31 and entailed interviews with 581 voters on cell phones and 421 on landline or other types of telephones. This is critical because increasingly voters do not have landlines or cannot be reached on them. 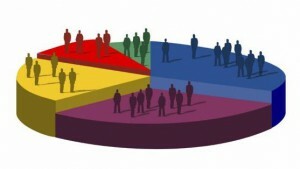 Respondents were selected at random from the California roster of registered voters. 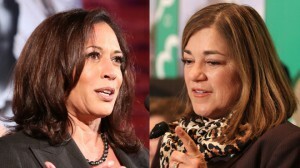 We all assume that since surveys have found Kamala Harris and Loretta Sanchez as the candidates with the most support in the open primary race for U.S. Senate, that it’s almost a sure thing that the runoff election in November will pit the two Democrats against one another. And certainly, if you just accept the most recent Public Policy Institute of Caliornia survey on the Senate race, that would be a logical conclusion. PPIC had Harris leading with 27% percent of likely voters, followed by Sanchez at 19 percent. Then came Tom Del Beccaro, former chairman of the state Republican Party, with 8%; activist gadfly Ron Unz at 6%, and Duf Sundheim, another former chairman of the state GOP with 3%. But 31% of likely voters remain undecided, including a whopping 46% — nearly half – of Republicans and 35% — more than a third – of independents. 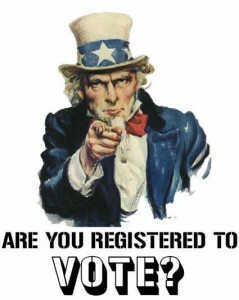 Will all those undecided Republicans just skip the Senate race when they fill out their ballots? 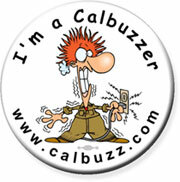 (Not likely) Or will they distribute them in about the same proportion as those Republicans who have already decided? 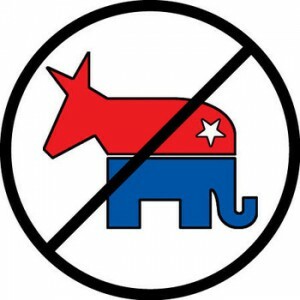 (Probably) Or – and this is where it gets interesting – will some hefty portion of those Republican and independent voters settle on one of the GOP candidates? Clearly, those undecideds aren’t drawn to Harris or Sanchez. It may be too late now, what with permanent absentee ballots already in the mail, but if one of the Republicans makes a case in the last week, perhaps, just perhaps, there’s be a chance to sneak by Sanchez and make it into the top two for November. We’ll know more this week when the Field Poll comes out in which we expect more attention will be paid to those Senate race undecideds. In the meantime, we’re rooting for Duf to flood the state with his final message. 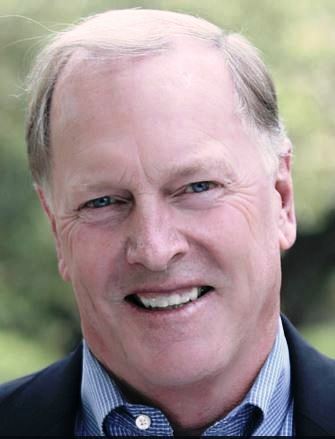 We have no idea who will be California’s next governor after Jerry Brown rides into the sunset at the end of 2018 but we know this: all the hype around San Diego Mayor Kevin Faulconer, who last week said he will not run, represented a lot of magical thinking by Republicans. Over and over, GOP leaders and some of our gullible colleagues in the news media, have referred to Faulconer as the “best hope” for a statewide Republican contender. But here’s the catch: Faulconer may be a registered Republican, but he hasn’t run as a Republican, there’s no mention of the GOP on his blue campaign website and, most important, his stands on issues like immigration and gay rights conflict with California Republican orthodoxy. 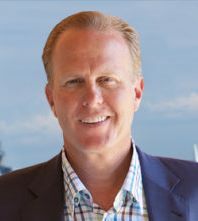 Faulconer holds a non-partisan position and has run as a municipal reformer– not a Republican leader. Consider the issues he outlines on his website: fixing roads and infrastructure, investing in neighborhoods, creating jobs, education, environment, public safety, building relations with Mexico, pension reform, transparency and efficiency and homelessness. Any Democrat could run on these issues as easily as a Republican. Party, What Party? We haven’t seen any polling to back this up, but we suspect many voters in San Diego haven’t a clue what party Faulconer belongs to because his slogan is “One San Diego,” a wholly non-partisan appeal to municipal unity. This is not to say Faulconer couldn’t mount a statewide campaign as a Republican like former San Diego Mayor Pete Wilson did when he first ran for the U.S. Senate in 1982 (four years earlier Wilson also made a failed bid for the GOP nomination for governor). But those were different times: The California Republican Party was not then in the habit of advancing, for the most part, its most extreme right-wing candidates for high office, as it has in more recent years. Their problem is not a “failure to communicate.” It’s the content of what’s being communicated: the GOP’s overarching commitment – as an organization – against abortion rights and gay marriage, against containing global warming, against the interests of labor and the working poor, against universal health care and gun control and against a path to citizenship for undocumented workers. As a result, the Republican Party brand is so toxic in California today, it’s hard to see how even a moderate like Faulconer could win statewide, once he became formally associated with the GOP. Consider what happened to Fresno Mayor Ashley Swearengin, an attractive candidate for State Controller in 2014 who, once burdened with the Republican label, got crushed 54-46 by Democrat Betty Yee. All this helps explain why thus far, as far as the 2018 governor’s race is concerned, we’ve only heard from Democrats Lt. Gov. Gavin Newsom and Treasurer John Chiang, with potential entries that include former Los Angeles Mayor Antonio Villaraigosa , former State Controller Steve Westly, billionaire climate activist Tom Steyer and current Los Angeles Mayor Eric Garcetti. Perhaps there’s a Republican out there who could overcome the scarlet “R.” Former Secretary of State Condoleezza Rice, comes to mind, except that she’s pretty much insisted she’s not interested in subjecting her personal life to the kind of scrutiny she’d get as a candidate. But let’s stop the spin about Faulconer, Swearengin and any other officeholders who happen to be Republicans but who have only succeeded in non-partisan elections.